Next weekend, my first season highlight is taking place in Birmingham, Alabama. 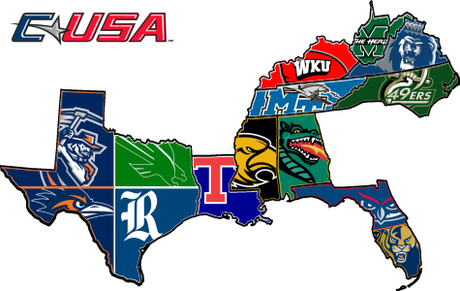 Conference USA is a association of 14 Universities, which competes in different sports against each other. Because of that, the main focus in these races won't be the time but the positioning like in other championship races. The winner of every event will earn 10 points for its team with the top 8 finishers to score. To me, that championship will be the first highlight of 2018. My training in the last weeks went better than expected and following that I am really looking forward to show my skills. Obviously, my team wants to score as many points as possible, which means that I will compete in two events. On Saturday, I will race the 5000m, which are pretty unpredictable since barely anyone competed in this event this year. Nevertheless, the seasons best in our conference is 14:01 (Kigen Chemadi, Middle Tennesse) is around 30 seconds faster than my own outdoor best, which show that I definitely have some strong competitors. Just 20 hours after the first event, I will start to to 3000m where I am currently listed in 13th position. The rules state that the top 12 will race in the last heat, now I am hoping that someone won't compete so I am race against the fastest. But it would also be alright to start in the second heat and just go out hard and run a really fast time to make the favorites nervous. Because in the end all heats will count as one race, so I still have the chance to score from a slower heat.